The complementary "Kids Zone" is a safe space for age-appropriate shows. It's never been easier to keep the kids entertained. 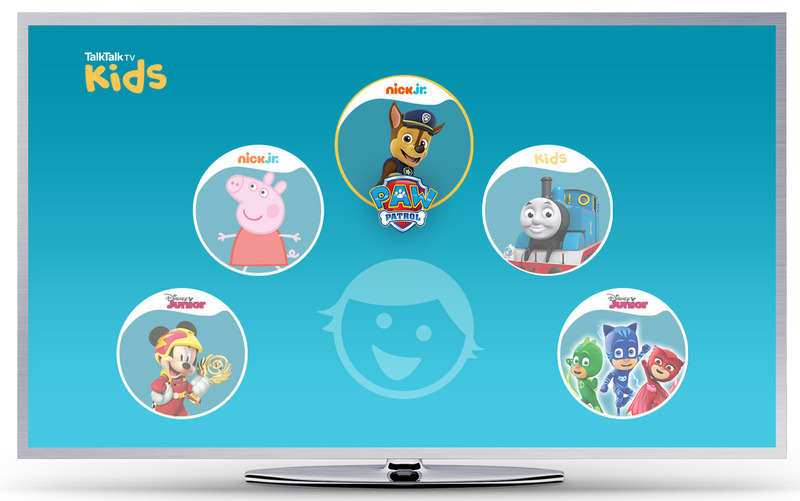 YouTube, the BBC, Sky, Virgin Media, Disney and more all have apps dedicated to shows for the little ones, and parents can trust everything on there is age-appropriate. TalkTalk has been building a walled playground of its own for kids bounce around in, but for the big screen in the living room, not the coffee-table tablet. Key to this is the new Kids TV Remote launching tomorrow. The £5 peripheral is colourful and simple, with so few buttons that most sprogs should get to grips with it pretty quickly. What's ultimately more important is the new "Kids Zone." One press of a button on the special round remote changes the entire TalkTalk TV UI, dropping little ones into an easily navigable menu of on-demand shows (you'll need the £5 per month children's TV package for this, mind). They are isolated to the Kids Zone until an older member of the household enters a code on the primary remote, so guardians needn't worry about them messing around outside the digital playpen. Parents also have control of what's shown in the Kids Zone, so they can hide whatever cartoon crack they think their children might be getting a little too obsessed with. They can also set viewing hours to stop sprogs going square-eyed, with a bedtime setting that's particularly clever. If a show finishes a few minutes before the designated cut-off point, the child won't be able to play another episode, hopefully minimising the potential for bedtime tantrums when you start running a bath halfway through the opening credits of Peppa Pig.